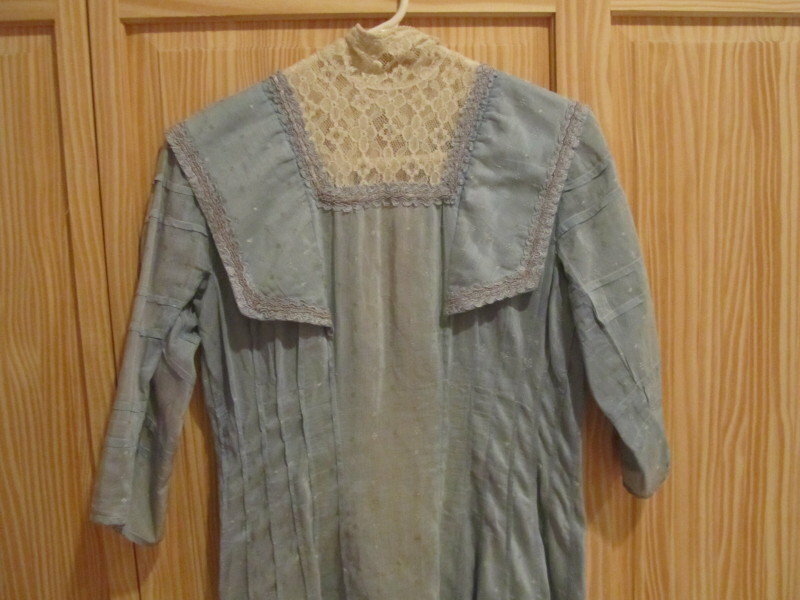 An early antique dress from a New Jersey estate. This lady had photos of herself in Atlantic City. This piece is during the Boardwalk Empire era. 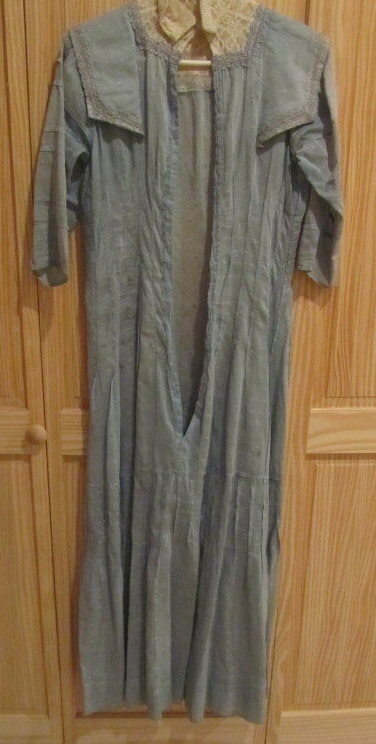 It measures 50 inches from shoulder to bottom back, under armpits across chest is 16 inches and sleeves are 14 inches. There's Alencon lace in collar and front chest area. There's hooks on back for closure. There's tears in places, fade to sleeves and some on the front has fade. 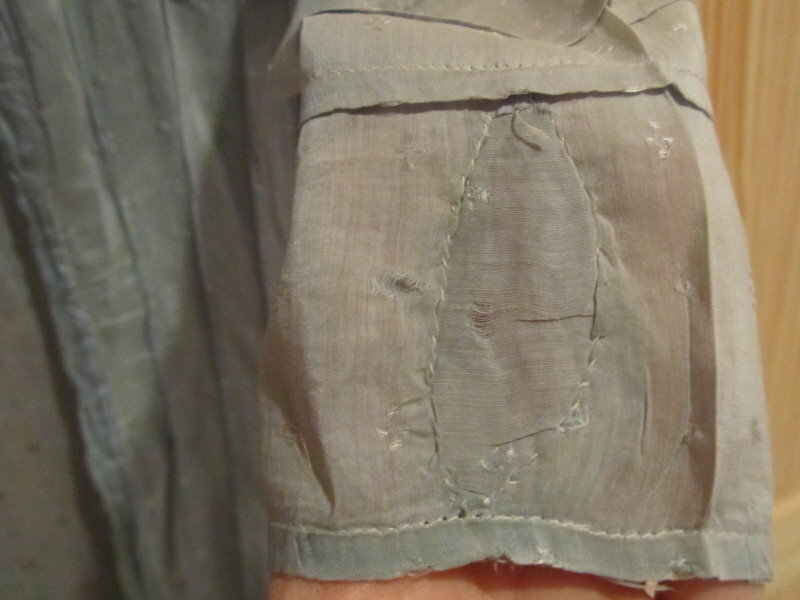 I noticed a mend on the sleeve. Scattered age spotting. Almost a see thru type fabric. You might like this one to display on a dress form. Just found this week from estate. I have another dress from this sale too. You might like to buy both and keep them together. My guess is this was originally an 1890's "tea" gown that was redone in the 1900's and maybe even in the 1910's. The sleeves are very Edwardian but the front detail is more 1890's in style. Also, the high necklines went mostly away by the teens.